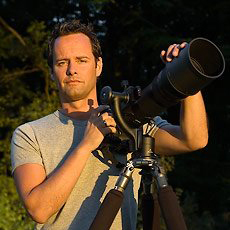 Nature images featured in the video is copyrighted by Marsel Van Oosten. Taking photographs began as a way for Marsel to escape from life in the fast lane. After a trip to Tanzania, however, things started getting more serious. Close encounters with the animals of the Serengeti fueled his passion for wildlife photography, which soon became his specialty. Five years later, Van Oosten took the plunge and swapped his established advertising career for the precarious life of a nature photographer, a move that demands unyielding devotion and commitment. We sincerely thank Marsel Van Oosten for being very kind in meeting us in person and answering our questions. Really appreciate his time and thoughts.